The Hives take some time out ahead of their set at Hard Rock Calling 2010 to chat backstage with Absolute Radio. Howlin’ Pelle Almqvist, Nicholaus Arson, Vigilante Carlstroem, Dr. Matt Destruction and Chris Dangerous talk to Ben Jones about who they’d have at their own dream festival, their unique outfits, the summer solstice and what Paul McCartney song would be most ideal for them to cover. Watch it via the London station’s YouTube channel below. TV on the Radio, who perform on ‘The Late Show with David Letterman’ (CBS) on Monday. My Morning Jacket, who perform on ‘The Tonight Show with Jay Leno’ (NBC) on Monday. Little Feat, who perform on ‘Late Night with Conan O’Brien’ (NBC) on Monday. 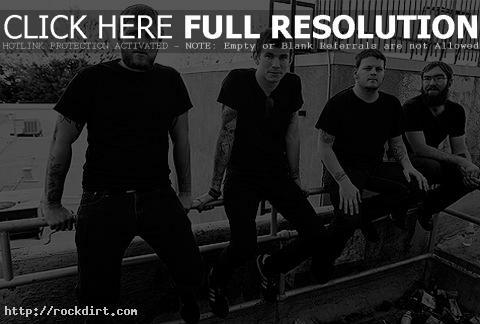 Against Me!, who visit ‘The Daily Habit’ (Fuel) on Monday. Kings of Leon, who perform on ‘The Late Show with David Letterman’ (CBS) on Thursday. Mike Vallely of Revolution Mother and Mike V & the Rats, who visits ‘The Daily Habit’ (Fuel) on Tuesday. Mates Of State, who appear on ‘Yo Gabba Gabba!’ (Nickelodeon) on Tuesday. Plain White T’s, who perform on ‘The Tonight Show’ (NBC) on Wednesday and ‘Good Morning America’ (ABC) on Thursday. Shirley Manson of Garbage, who visits ‘The Late Late Show with Craig Ferguson’ (CBS) on Wednesday. Foals, who perform on ‘Jimmy Kimmel Live’ (ABC) on Wednesday. Hot Hot Heat, who appear on ‘Yo Gabba Gabba!’ (Nickelodeon) on Wednesday. Innerpartysystem, who visit ‘Steven’s Untitled Rock Show’ (Fuse) on Wednesday. Morningwood, who perform on ‘The Late Show with David Letterman’ (CBS) on Thursday. The Hives, who perform on ‘The Tonight Show with Jay Leno’ (NBC) on Thursday. Kid Rock, who performs on ‘The Ellen DeGeneres Show’ (Syndicated) on Thursday. One Block Radius, who visit ‘The Daily Habit’ (Fuel) on Thursday. Jimmy Eat World, who appear on ‘Yo Gabba Gabba!’ (Nickelodeon) on Thursday. 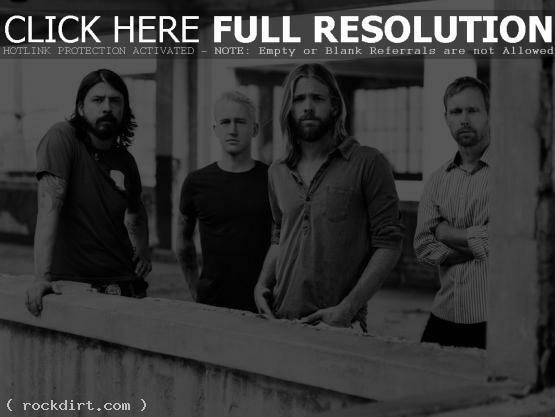 Foo Fighters, who visit ‘The Sauce’ on Tuesday and perform on ‘The Late Show with David Letterman’ on Wednesday. Ray Davies of The Kinks, who performs on ‘The Late Show’ on Tuesday. The Hives, who perform on ‘The Tonight Show with Jay Leno’ on Tuesday. Hellogoodbye, who perform on ‘Last Call with Carson Daly’ on Tuesday. 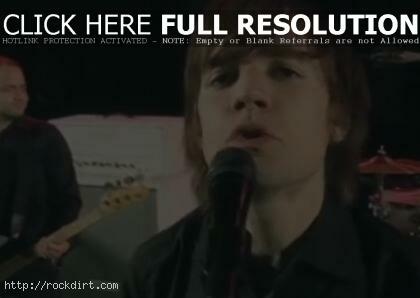 The Whigs, who perform on ‘Late Night with Conan O’Brien’ on Wednesday. Shiny Toy Guns, who perform on ‘Last Call’ on Wednesday. Serj Tankian of System of a Down, who visit ‘The Sauce’ on Wednesday. Panic! At The Disco, who visit ‘The Sauce’ on Wednesday. Black Mountain, who perform on ‘Late Night’ on Thursday. Secondhand Serenade, who performs on ‘Late Night’ on Friday. Swedish rock band The Hives performs during a homecoming concert at Annexet in Stockholm, Sweden on Tuesday (December 4). Check out pictures from flickr. Watch fan filmed highlight clips from YouTube. The Hives have collaborated with Timbaland and Pharrell Williams, and singer Howlin’ Pelle Almqvist tells the Los Angeles Times their hip hop collaborators’ ideas about rhythm and stage presence have rubbed off on them. “They like our bravado, that we’re not shy and retiring,” Almqvist said. “And the music is very similar structurally. If you take a Dr. Dre beat and play it twice as fast, you pretty much get a Hives song.” The Fagersta, Sweden band release their fourth full-length album ‘The Black and White Album’, on Tuesday (November 13) on Interscope Records. The Hives have launched an exclusive listening party for the Swedish rock brand fourth full-length album ‘The Black And White Album’ on their Myspace player. Fans now have the chance to listen to the disc’s 14 tracks in its entirety before the album is released on Tuesday (November 13) on Interscope Records. Listen at myspace.com/thehives. The Hives are out with the video to their new single ‘A Little More for Little You’, from the album ‘Two Timing Touch and Broken Bones’. Watch it below. Day two of the Fuji Rock Festival ’06 featured Sonic Youth, Wolfmother, The Hives, the Red Hot Chili Peppers, and The Scissor Sisters on Saturday (July 29) at Naeba Ski Resort in Yuzawa, Japan. Check out pictures from WireImage (Sonic Youth / Wolfmother / The Hives / RHCP) and FilmMagic. Video of The Hives’ performance at the Hurricane Festival in Scheesel, Germany on Saturday (June 24) has been posted online by YouTube user “kalle87”. Watch several clips here. Rock acts on television this week include Staind, who perform on ‘Jimmy Kimmel Live’ on Monday; The Hives, who visit ‘Daily Download’ on Monday; The Sounds, who perform on ‘Last Call with Carson Daly’ on Tuesday; Shinedown, who visit ‘Daily Download’ on Tuesday; and The All-American Rejects, who visit ‘Daily Download’ on Wednesday.